At 16 I was blessed, surpassed many my age, younger, and older with the gift of hearing & (somewhat) clearly understating the Lord’s voice. But throughout the multiple stages Ive faced in recent years that ability has become less reliable, if you will. I thought that maybe it was just me. 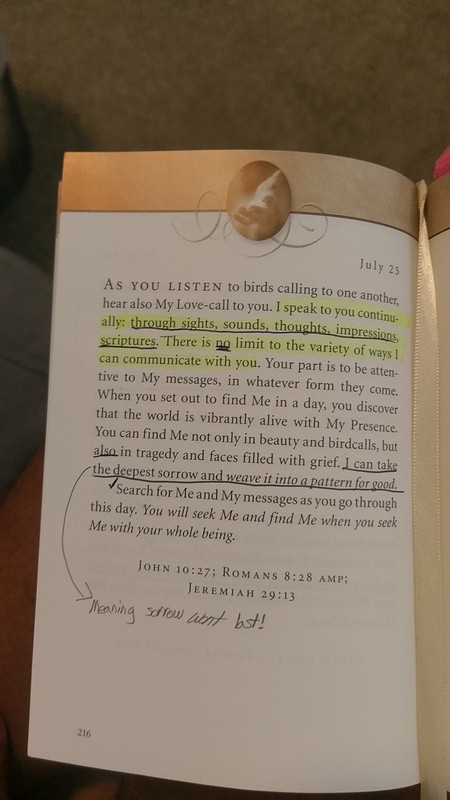 Maybe I did something wrong to not be able to hear God clearly anymore. Or maybe I wasn’t doing it right, not that I ever even had to try to will it.. Sitting on my bed writing this post today leads me to understand that maybe in the LARGE, unsustaining gaps of silence or lingering, pestering, ungodly, or just mean thoughts that maybe there’s something to learn here. And I think this #Jesuscalling entry is one of em. A step towards Hearing, and Ciphering God out of anything! I live in the city hunny, so noise is unavoidable. And as an overthinker I unwillingly & often subconsciously carry around a monsoon of thoughts & invasive emotions no matter where I venture to. I’ve been Blessed to hear God clearly for many years with no effort. But now, it’s time to discover & know God, clearly, in the struggle & the jungle I call life. And if you’re struggling to hear God too, then I hope this will also be a good first step! If you’d like a full article on how to hear God’s voice, leave it in the comments. If you want to hear the Real Jesus, listen to…….